Laila Del Monte spent her childhood on the island of Formentera in Spain. Her secondary and university studies in Paris led to a Master’s Degree in Comparative Religions at the Sorbonne University. Today, Laila del Monte devotes all her time to animal communication of which she is one of the pioneers in Europe. She has dedicated her life to animals. Laila Del Monte is the author of the bestselling book Communiquer Avec Les Animaux, published by Editions Vega, which has been translated into both English and Spanish. Her second book, Little Wolf, Comment J’ai Appris A Communiquer Avec Les Animaux, as well as her third book Les Animaux… Leur Chemin Vers L’Autre Monde and fourth book Quand Le Cheval Guide L’Homme have also been published by Editions Vega. All books are translated to Spanish. Laila Del Monte has appeared in several radio and television programs such as Enquêtes Extraordinaires (English subtitles) on M6 and on TF6 in France, as well as on Belgium public television. Her documentary film Dans La Peau Des Animaux produced for French TV France 5 is now dubbed in English and was presented at the Garifuna Film Festival in Los Angeles in May 2016. 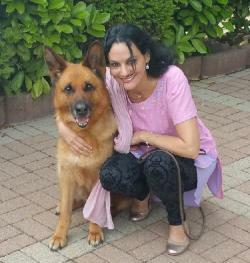 Laila del Monte has given numerous conferences in different countries, one of which was organized by INREES on animal communication at the Sorbonne University in Paris. She has also been interviewed for numerous articles in magazines such as Sources, NEXUS (scientific review), and in other specialized reviews. She has helped many animals with behavioral problems and is known to reduce the suffering of sick or injured animals. Laila del Monte specializes in cases that cannot be healed by traditional medicine and many veterinarians have sought her help as have animal breeders, horse trainers, top horsemen, behaviorists and animal parks. 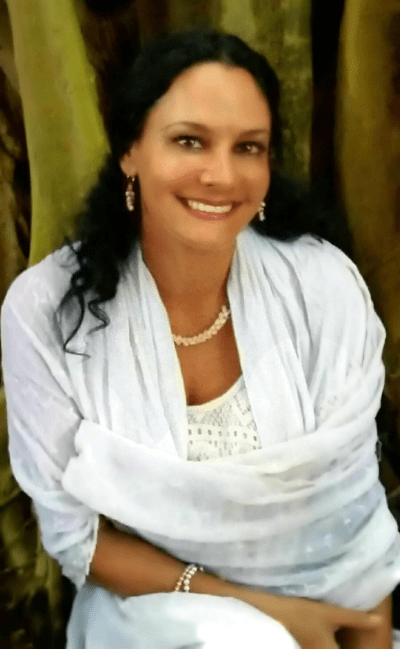 Laila Del Monte lives in the United States and teaches animal communication in various countries worldwide. I started understanding animals when I was a child. My family lived in Paris during my childhood, but we spent long summer months on the Balearic island of Formentera on a farm. There I was surrounded by animals, the goats whose milk we drank, the sheep that the farmer’s wife spun into wool, the donkey that carried us on its back. There were just a few horses on the island and later one cow and one bull were introduced on one of the farms. While I was in that farm I could feel the thoughts, emotions and the feelings of the animals and this seemed natural to me. To me it was natural; I never thought that it could be considered “different”. To me it was normal and it was part of “my world”. Later on I developed a technique that allowed me to transmit this ability to other people. Most people already have intuition and perceptions that can be developed further and this technique allows other people to feel right into the depth of their cells the emotions and thoughts of animals. And when people feel this really deeply inside of themselves, that’s when they realize that animals have consciousness. Most people love animals. People come to the seminars and the lectures or read my books because they love animals. But it is only when you feel in depth their thought as if it were your own thought, their emotion as if it were in your own heart, and their feeling as if it were in your own body, that you completely understand the animal. And when we really understand the animal, we really understand that he has consciousness, that he is a living sentient being with thoughts and emotions exactly like our own. And in understanding an animal, we are also able to better understand other sentient beings, like other human beings. In understanding that all other sentient beings have consciousness, we can help our planet.